Noo Yawk is a city overlooking the mountain Popular Literary Olympus where Dean Koontz, Heather Graham and Stephen King live although they arrived on the mount from other parts of Americus. The Literary Liberators, author Jane Sharp and her fans, are flying a gilded carriage in a circle around Popular Literary Olympus where Dean Koontz, Heather Graham and Stephen King live. The freedom fighters want to land on the mountain to farewell Jane so she can live there as an immortal. But Jane needs to find the Holy Bookmark Kindle Top 10 in Suspense/Psychics because it is the key to the portal into Popular Literary Olympus where Dean Koontz, Heather Graham and Stephen King live. Unbeknownst to Jane – who would never use a word like unbeknownst – the Noo Yawk branch of a Kindle Kingdom secret society is watching her. 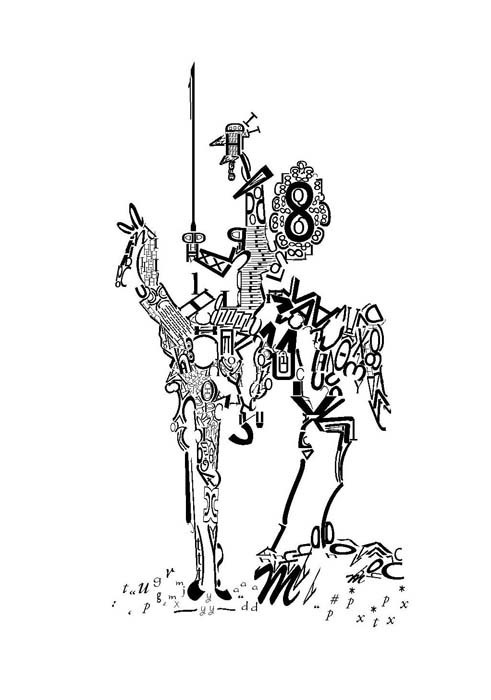 The society is the Glueminati with the motto “we stick together”. Like most Gluemanati branches the Noo Yawk chapter has high-powered hidden video cameras trained across the City. The Gluemanati regard themselves as the Guardians of Proper Knowledge and they keep records of what the general public is reading. Whenever a book is read a chime sounds beyond the frequency picked up by humans but recorded by Gluemanati super computers. Any book which makes the Top 10 in Kindle Suspense/Psychics is obtained and placed in Gluemanati cellars. Future generations will look at the books and marvel at the wisdom or folly of today’s readers. The Noo Yawk Gluemanati are the ones who hold the Holy Bookmark Kindle Top 10 in Suspense/Psychics. They are watching to see if Jane earns the Holy Bookmark to gain a place on Popular Literary Olympus where Dean Koontz, Heather Graham and Stephen King live. Jabe's book Vision: Complete Trudy Harper Psychic Investigations can not only earn the Holy Bookmark but can also be given a spot among the Noo Yawk Chimes Best Cellars. In a Noo Yawk secret location, known as Chimes Square, a LED Billboard continually displays the Kindle Top 100 in Suspense/Psychics but in an electronic font decipherable only by the Gluemanati. At 3:15am on the 10th and final day of the Quest for the Holy Bookmark Kindle Top 10 in Suspense/Psychics, the billboard shows Jane’s Book at #77. 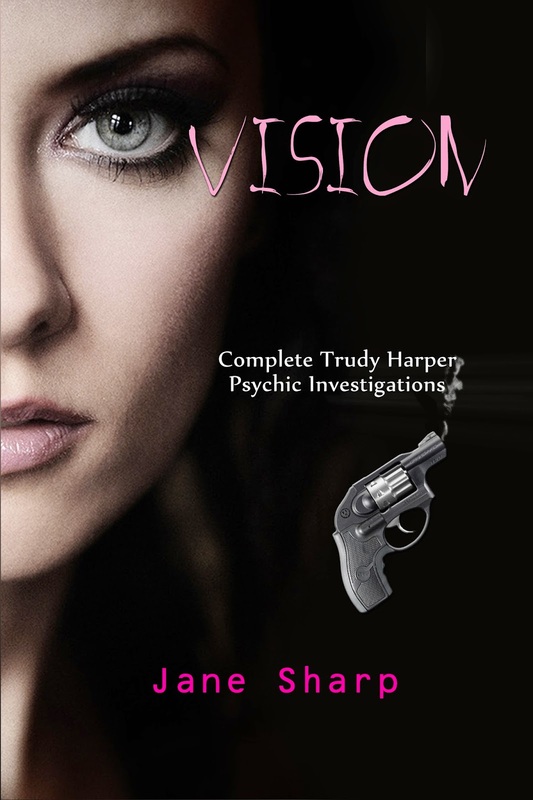 At 4:3oam, Vision: Complete Trudy Harper Psychic Investigations is showing on the Big Screen as #82. Passing Gluemanati looking up at the sign, nod at each other, and agree things are looking poorly for Jane Sharp. No one puts a more positive spin on it that citizens of Americus are in bed and could buy Jane’s book in droves when they wake up on Sundiem, the 10th and final day of the Quest for the Holy Bookmark Kindle Top 10 in Suspense/Psychics. The Gluemanati are like that when they make a pessimistic prediction. They stick together. By 5.30am, Vision: Complete Trudy Harper Psychic Investigations is still showing on the Big Screen as #82. Only the Gluemanati know this as the citizens of Noo Yawk begin to rise with no knowledge of how their actions over the next 18 hours will determine Jane’s fate. At 6.30am, Noo Yawk time, it is close to bed-time for Aussies such as the producers of Vision: Complete Trudy Harper Psychic Investigations which is hanging in there at #83. Further movement is in the lap of the readers, said lap being where their Kindle lies. AT 8.30pm, Noo Yawk time, Vision: Complete Trudy Harper Psychic Investigations has slipped to #94. It looks like OUR HERO Donna Jane Shapote needs a miracle. Labels: #BBBooks, #fiction #suspense, Holy Bookmark, Jane Sharp, Kibdle Top 100., Quest for the Holy Bookmark, Vision: Complete Jane Sharp Psychic Investigations.